Nicole is a rising senior at the University of Maryland, College Park. She is studying to earn a double major in Communications and Family Science in order to make a difference in the world. She is excited to help empower women with confidence, happiness, success, and a healthy sense of self-worth. 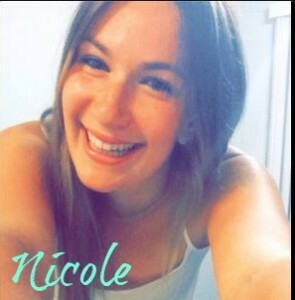 Nicole has always been passionate about living life to the fullest and making the world a better place and she is now fulfilling her life’s ambition. Nicole became an intern for Get Smart fall of 2014 writing articles for the organization.Wanting to continue her journey with Get Smart, Nicole took on a new role as the Social Media Manager. She schedules and mandates posts on majority of the organization’s social media channels. She is thrilled to stay on and help the Get Smart team expand.